Made from a delicate blend of wool and polyester, this incredibly soft beanie is a must-have for the cold, Winter season. This stylish beanie can be worn in any setting, day or night. 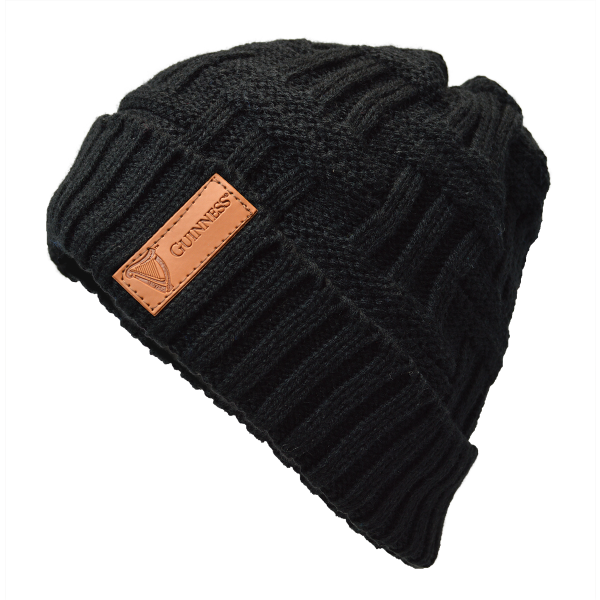 In a black cross weave style, this beanie features a leather Guinness Logo patch embroidered on the front. ''One size fits all'' Guinness® Official Merchandise: This product celebrates an extraordinary brand, which for over two centuries has been held in great affection around the world. For many, Guinness® has come to symbolize a way of life, always with style, wit, and good humor. This product is intended for purchase and enjoyment by people of legal purchase age for alcoholic beverages.